Casey Key real estate, along with the high end market, has taken longer to begin its recovery from lagging home prices. On the Western Coast of Florida, the lower end homes are being scooped by buyers who want to get their piece of Paradise while prices are still low. High-end information requests are starting to come in for Casey Key real estate now that word is out that the bottom in this area could be now. 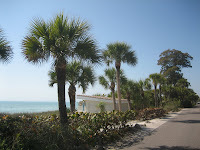 Located south of Sarasota and north of Venice Florida, Casey Key is one of Sarasota's barrier islands which also include Siesta Key, Bird Key, Lido Key and Longboat Key. It is a private charming island with tropical foliage everywhere. Many celebrities including Stephen King own homes on Casey Key. Visitors, vacationers and buyers of luxury properties come to Casey Key each year to learn about its pristine beaches. Collecting seashells on this island along with sharks teeth is a pastime here. Many buyers make Casey Key an annual event seeking the opportunity to purchase a property in Paradise. 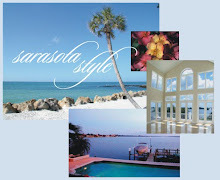 The Sarasota MLS currently reports an excellent selection of homes for sale on Casey Key including Gulf to Bay estates. Many properties offer potential buyers boat docks, cabanas, tennis courts and swimming pools. 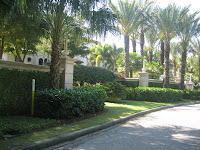 Inventory of property is currently excellent for the luxury real estate buyer. Casey Key real estate favors the buyer currently. Make an offer as many of these Casey Key homes for sale have been on the market for several years, and their sellers are negotiating. Life in our Paradise! For all of your Sarasota real estate needs, call John Allen at 941-544-6467 or Annette Smith at 941-504-3922.